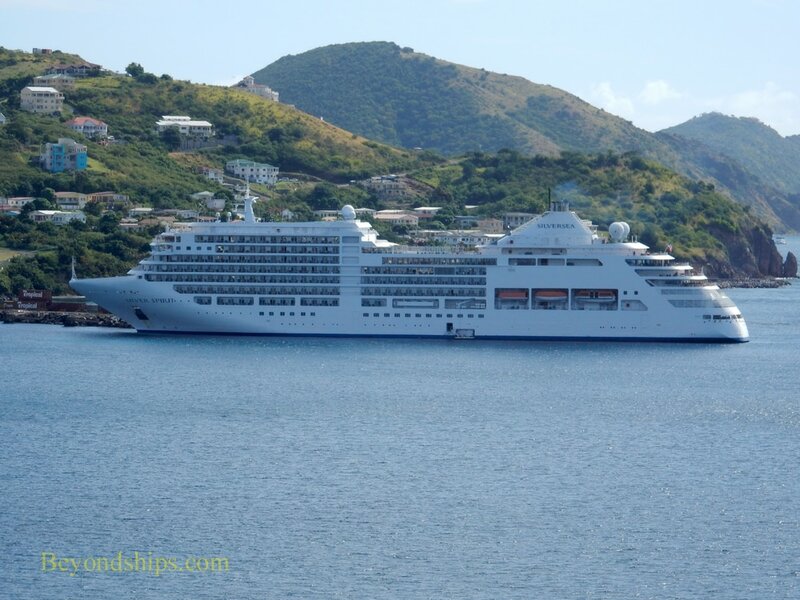 Above: Celebrity Equinox and Costa Fortuna. 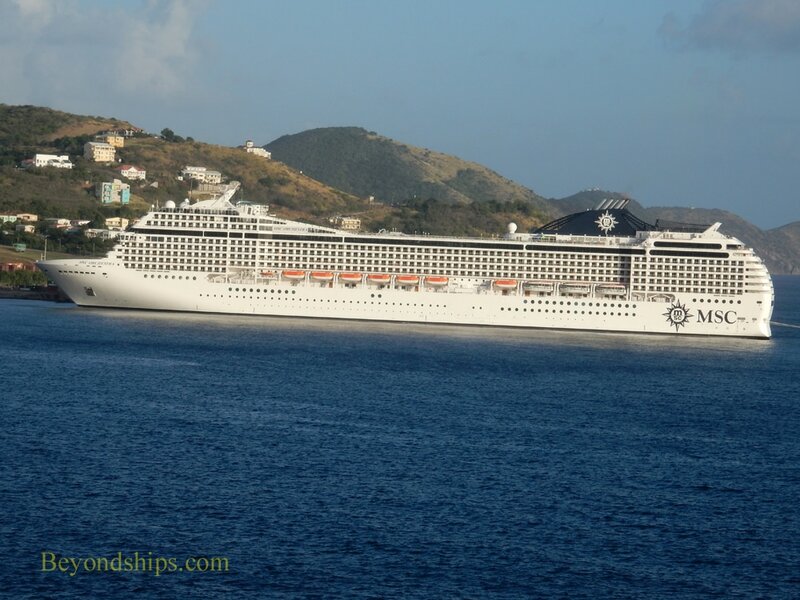 Cruise ships of all sizes call at St. Kitts. Here, are a few examples. 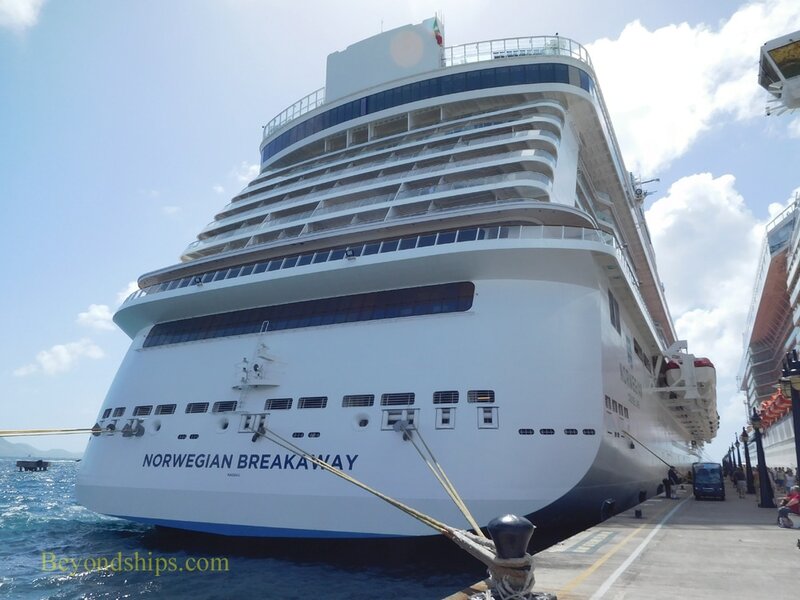 Not all the ships that call in St. Kitts are traditional cruise ships. 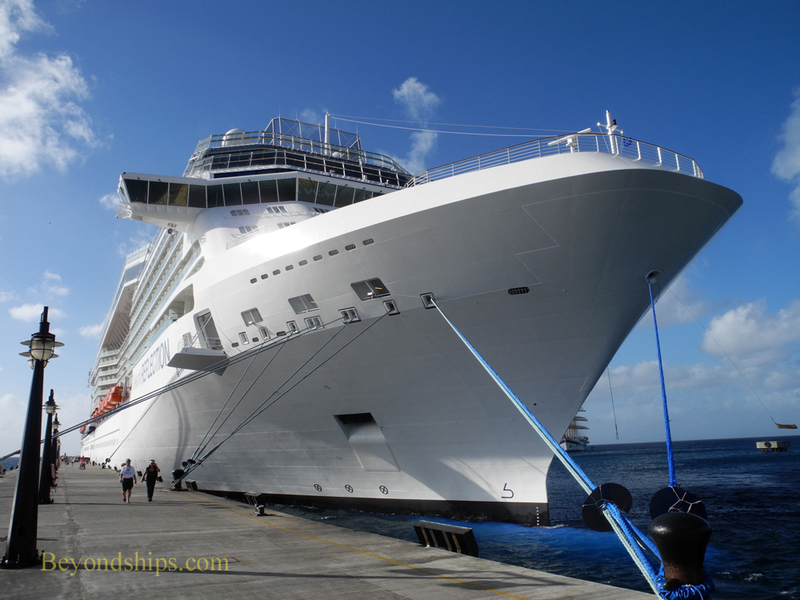 Left: Ocean liner Queen Mary 2. 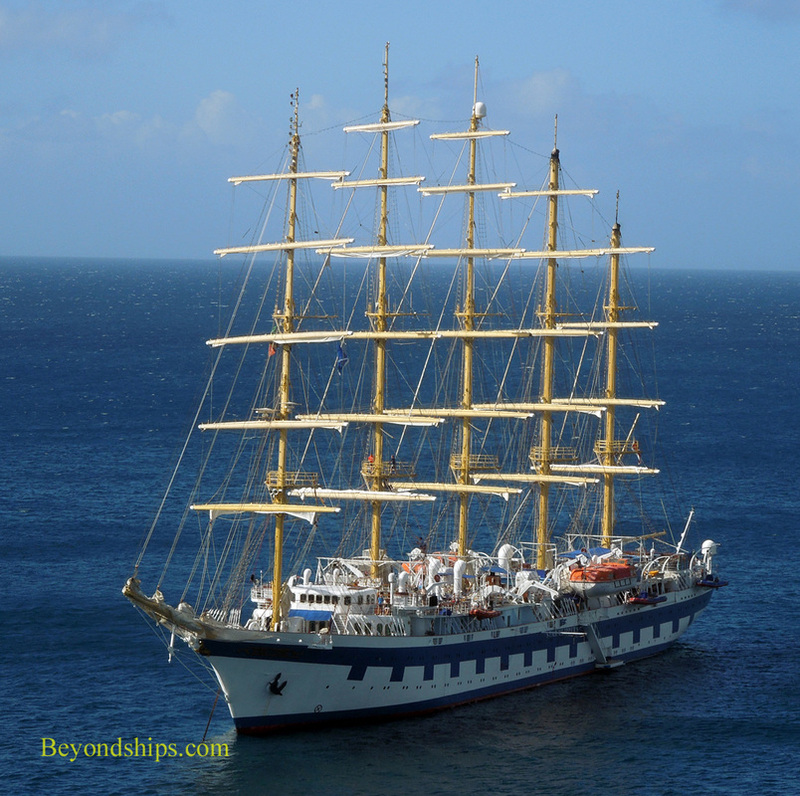 Below: Passenger sailing vessel Royal Clipper. 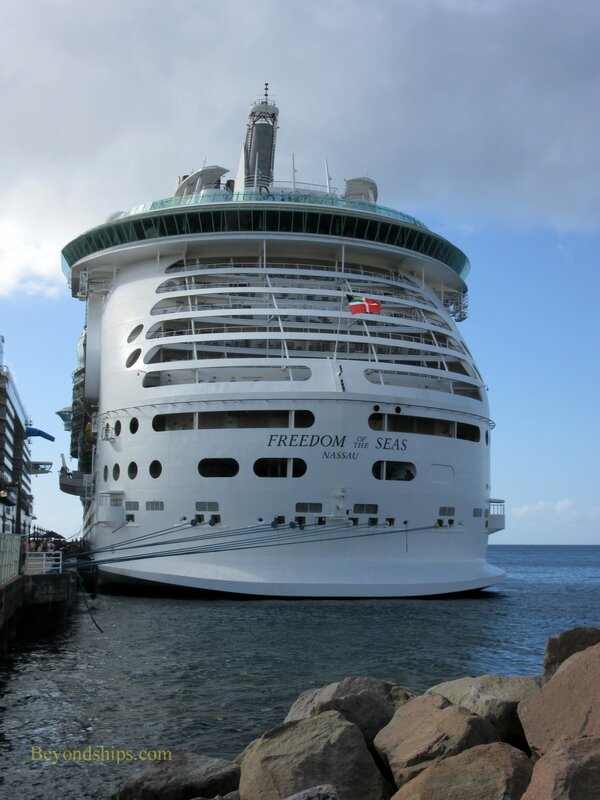 Left: Explorer of the Seas and Azura. 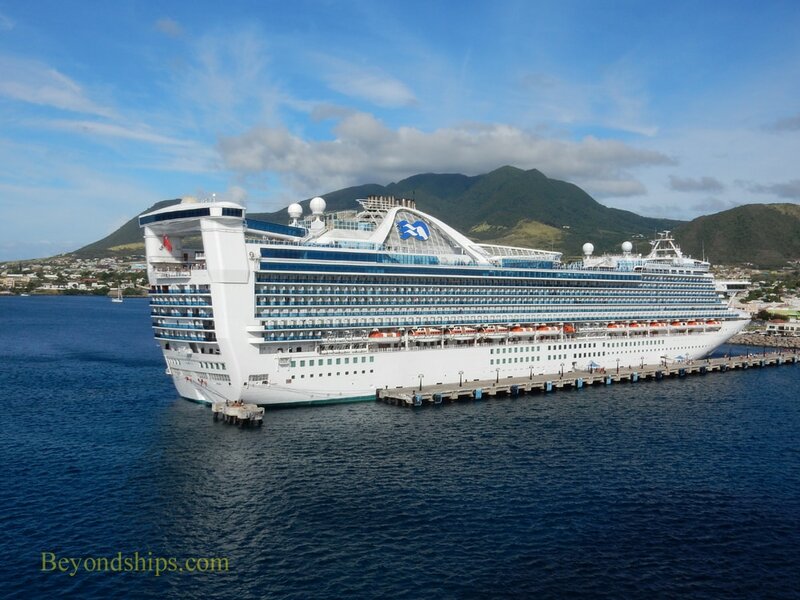 Below: Ventura and Emerald Princess. 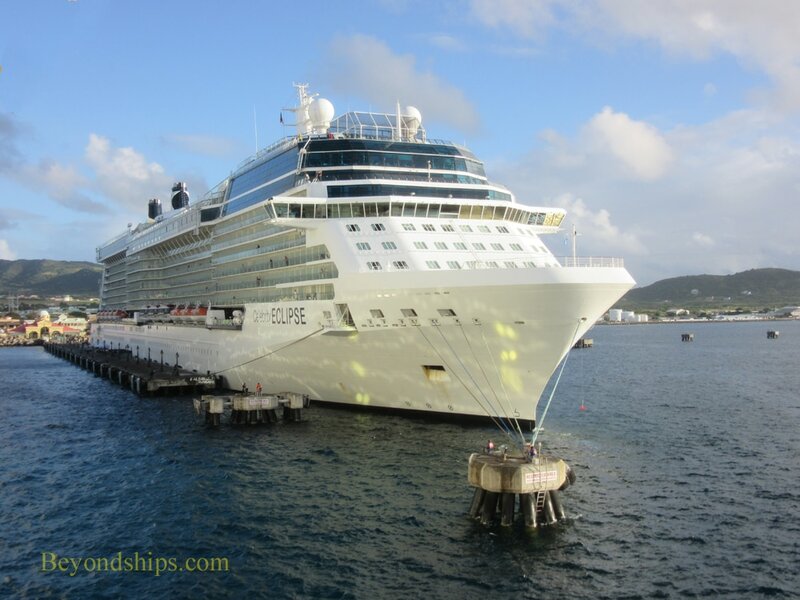 Celebrity sisters in St. Kitts - - From the Solstice class: Celebrity Reflection (above left) Celebrity Solstice (above right); and Celebrity Eclipse (right). 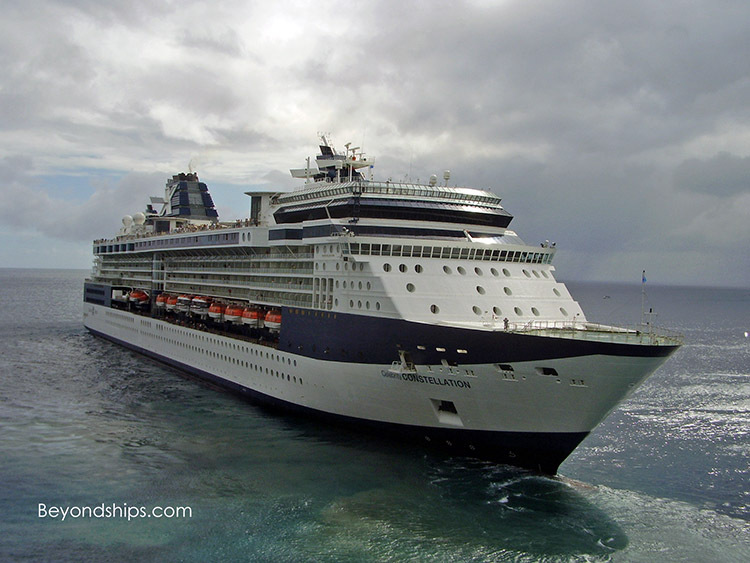 From the Millennium class: Celebrity Constellation (below left) and Celebrity Summit (below right). 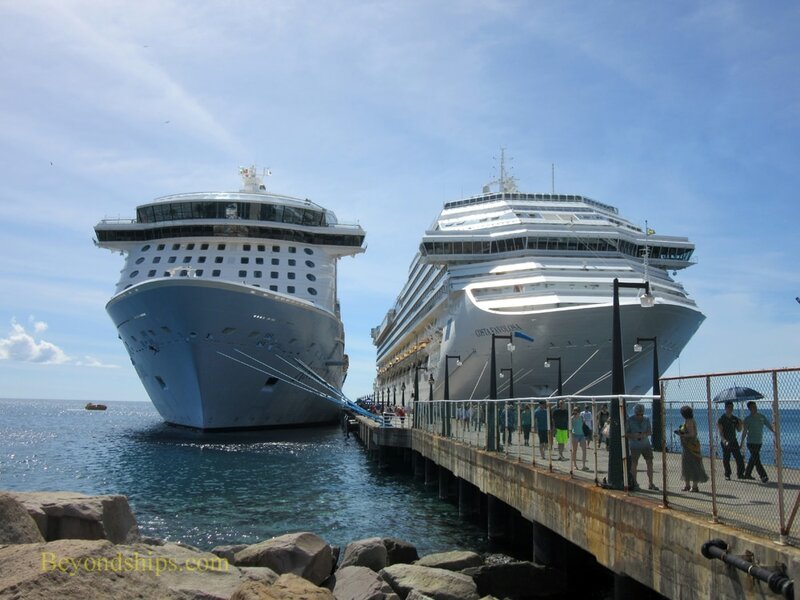 Left: Anthem of the Seas and Costa Favulosa. 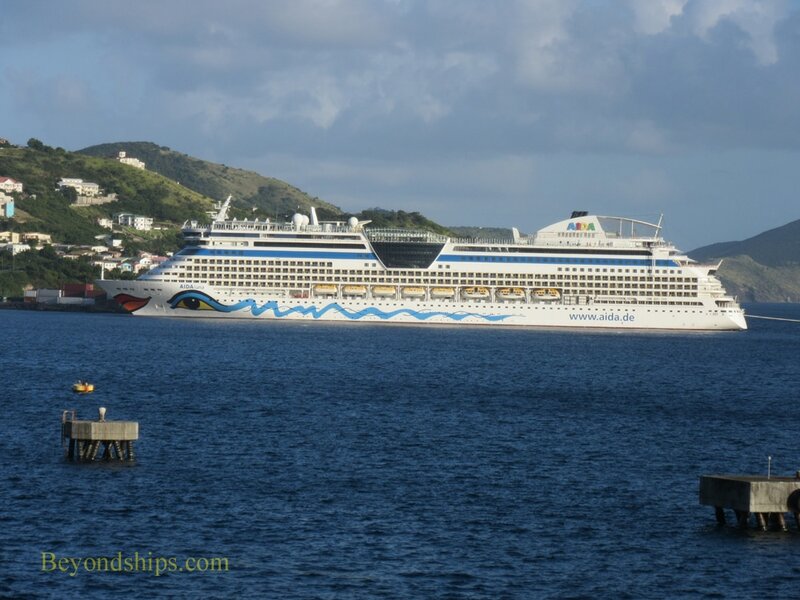 At the commercial pier, AIDAluna (above); Silver Wind (above right) and MSC Orchestra (right). 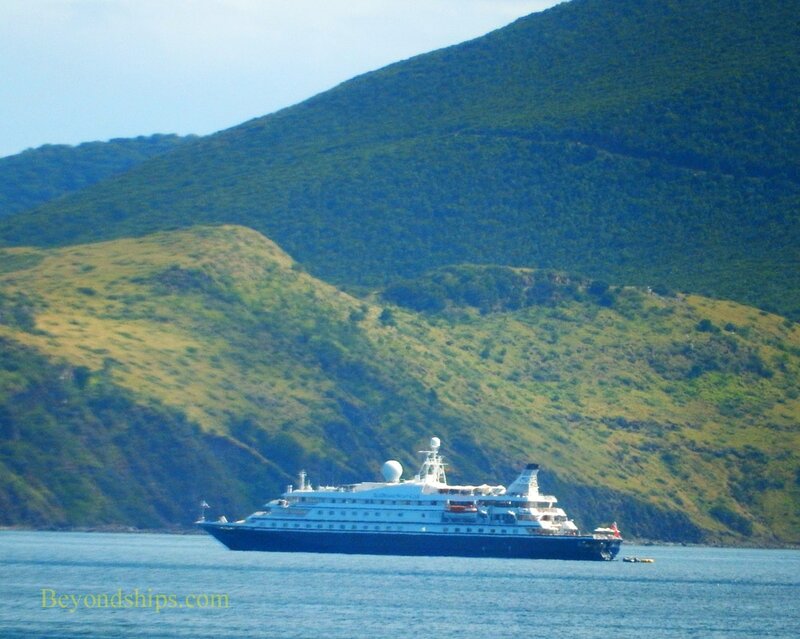 Above: Sea Dream II anchored off of St. Kitts. 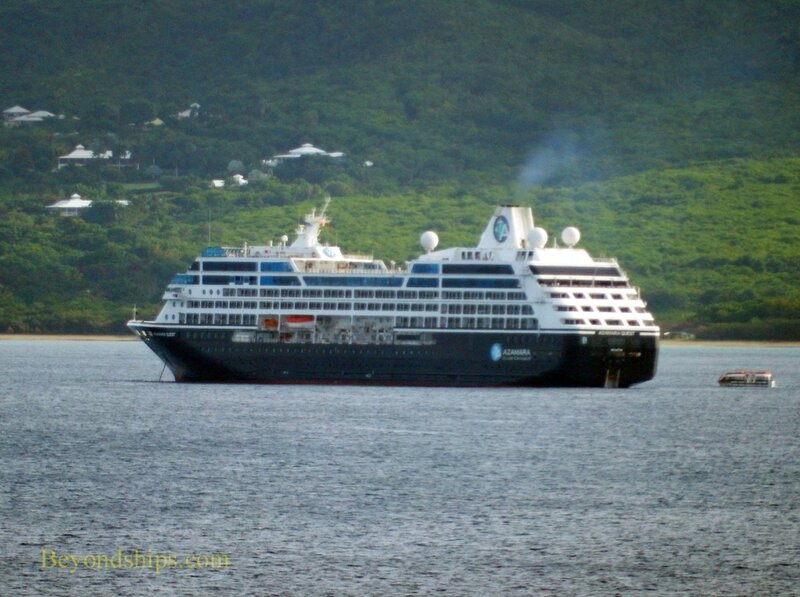 Below: Azarama Quest anchored off of Nevis.